Taka spends his days taking care of his sick uncle and his nights sitting outside and playing his beloved bongos. 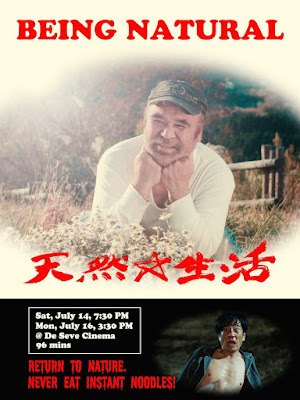 When his uncle dies his world is upset as his uncle has left the house to another relative and then a couple arrives from Tokyo and things go steadily down hill. Director Tadashi Nagayama's BEING NATURAL is going to challenge audiences. A mix of drama, comedy and magical realism the film seems to be a haunting and moving tale that gets under your skin in all the right ways. The thing is that as the story goes a little dark it suddenly takes a left turn into the twilight zone and becomes something that will make you go "WTF?" Probably out loud. That I am going to devote my entire piece to the turn is a reflection of the fact that my thoughts on the film hinged on the last twenty minutes. What I thought of the film before them is one thing and what I think after is something else entirely. I do like the sequence but I'm not sure it actually fits with what went before. (I think that is an understatement). No I will not tell you what happens. (though it may or may not have to do with the promotional material calling Taka a saint). If you're curious you should see it for yourself. I will warn you that over the top gore is involved. I have no clue. Frankly I'm still processing. That said if you want to see a film that is going to provoke a reaction see BEING NATURAL. 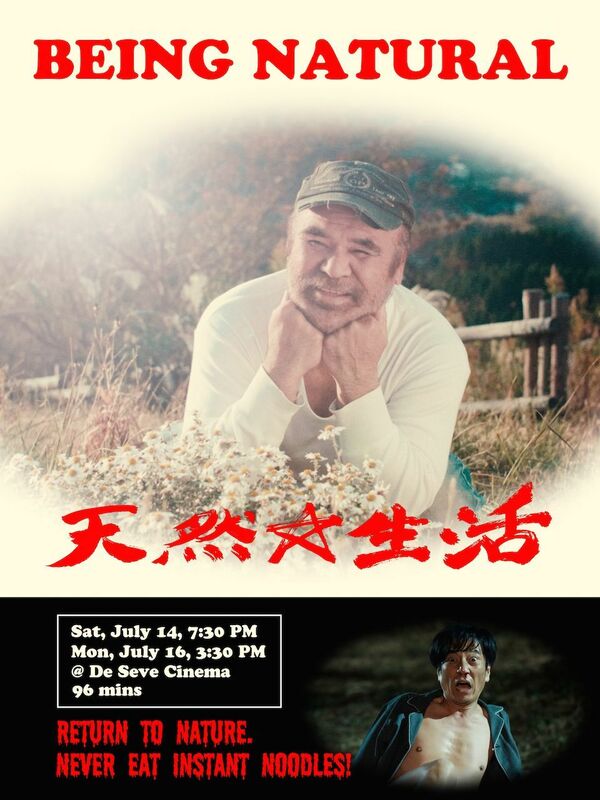 BEING NATURAL plays again on the 16th at Fantasia. For more information and tickets go here.